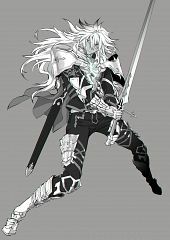 44 anime images in gallery. 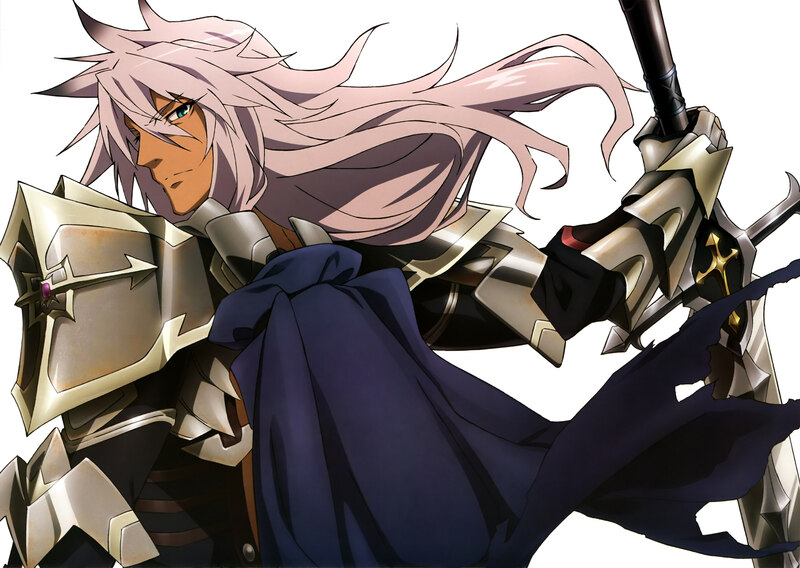 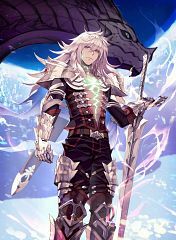 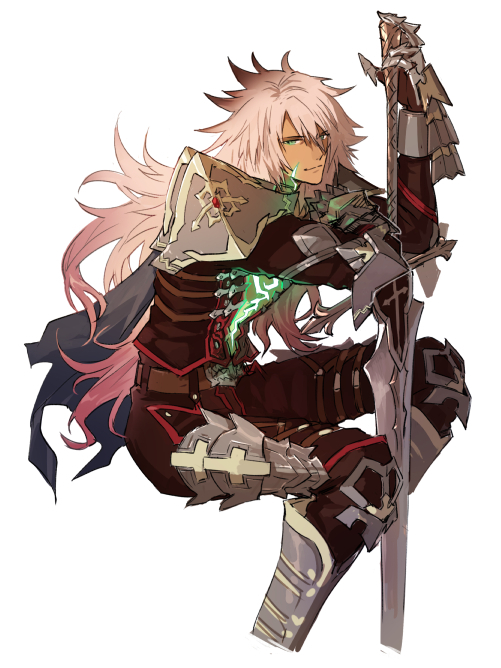 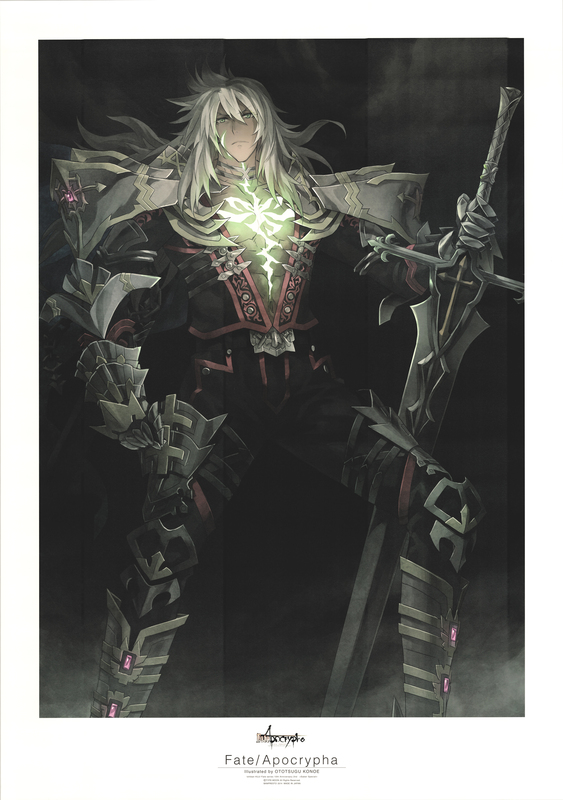 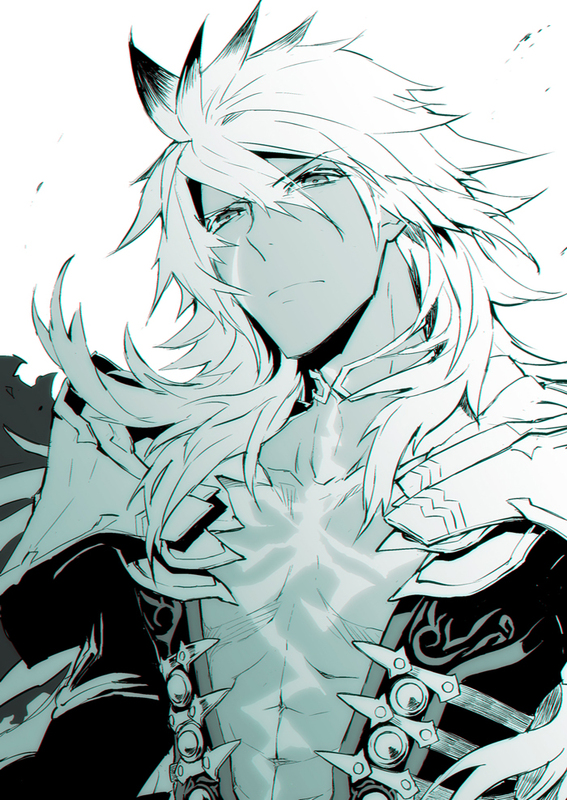 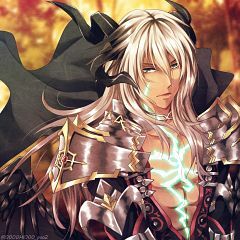 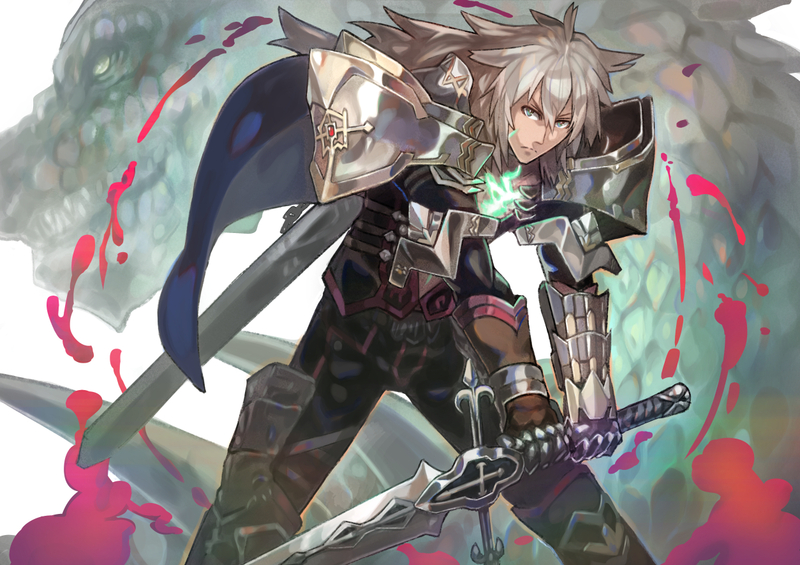 Tagged under Fate/Apocrypha, Suwabe Junichi, Black (Meta) and Fate/Grand Order. Black Saber (Saber of "Black", "黒"のセイバー, ?) 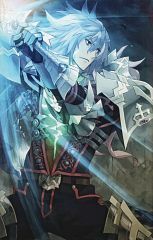 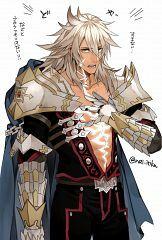 is the Saber-class Servant of Gordes Musik Yggdmillennia as part of the Black Faction in the Turifas Holy Grail War of Fate/Apocrypha. 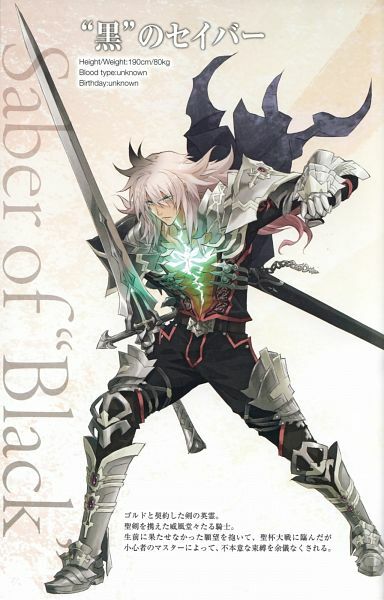 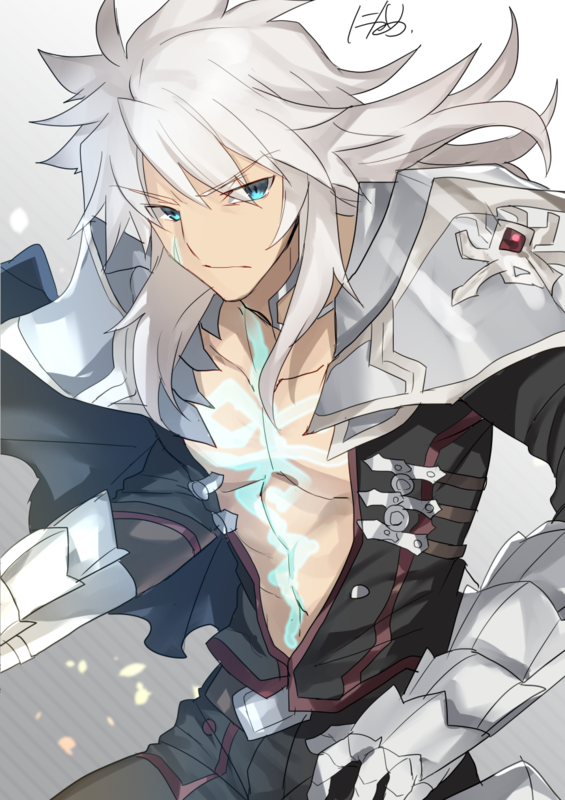 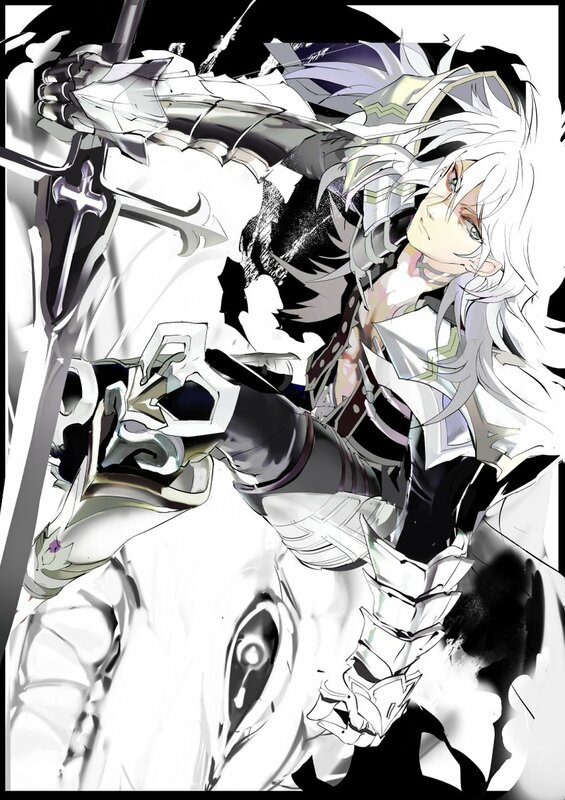 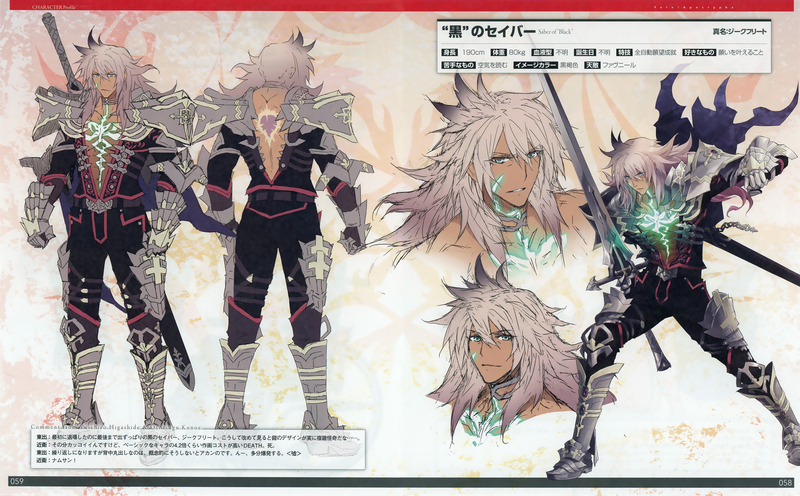 He was designed by TYPE-MOON and illustrated by KN for the original canceled online game project. 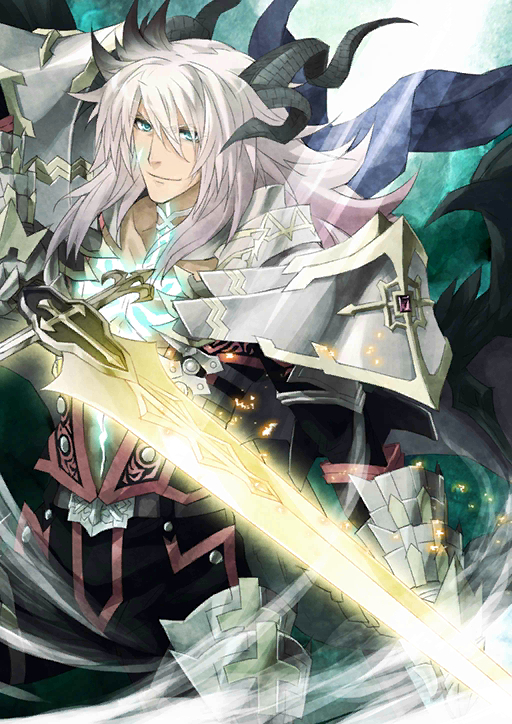 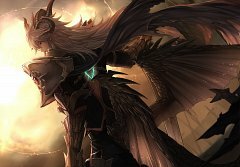 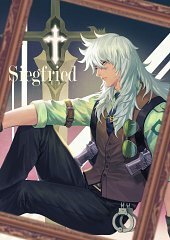 Saber's identity is Siegfried, the Dragon-Blooded Knight (竜血の騎士, Ryuuketsu no Kishi? 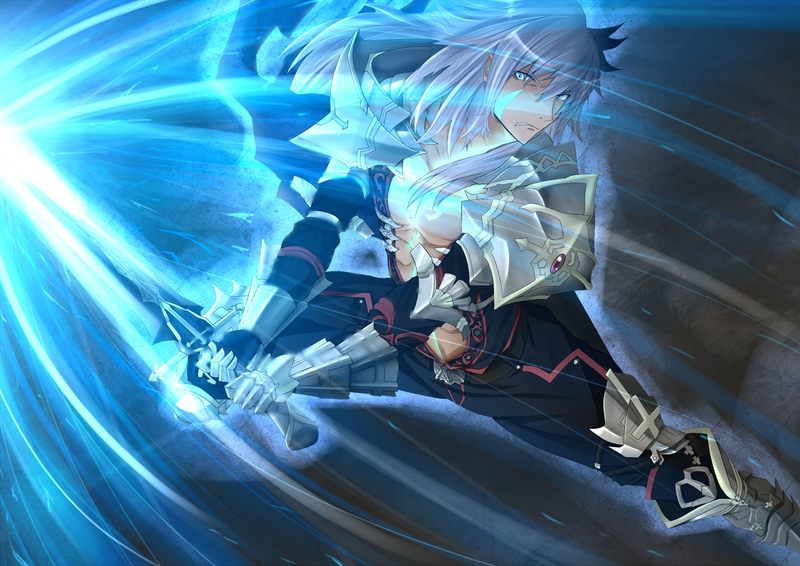 ), the hero portrayed as the main character of the German Nibelungenlied epic. 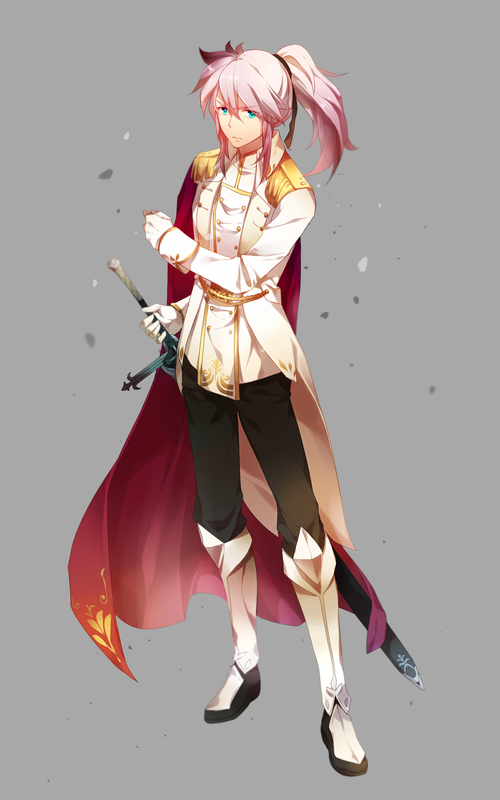 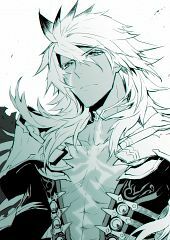 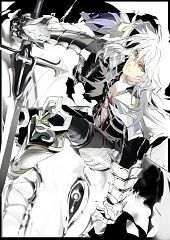 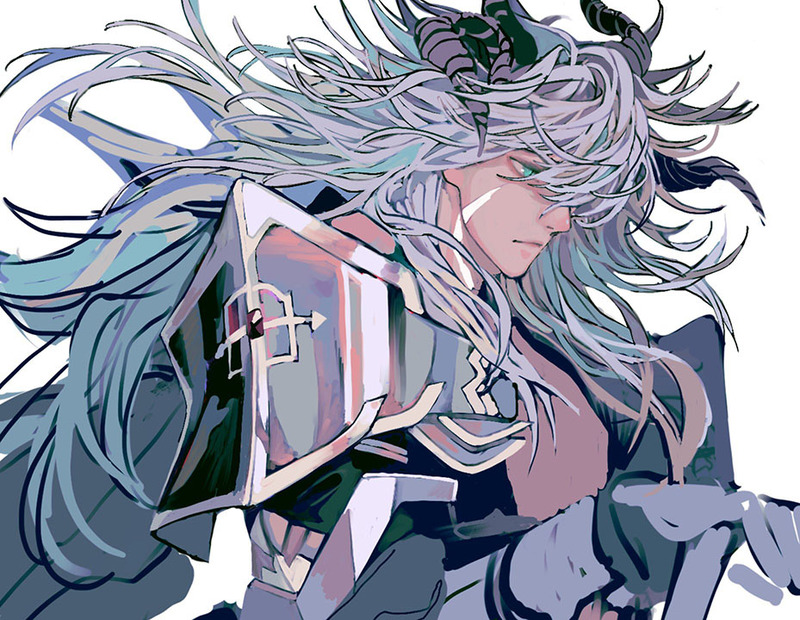 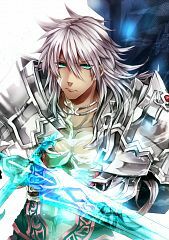 Prince of the Netherlands, he wields the precious sword Balmung which he received from the Nibelungen family, and has fought in many campaigns and adventures. 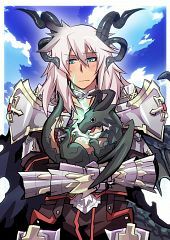 His most well known feat is killing the evil dragon Fafnir. 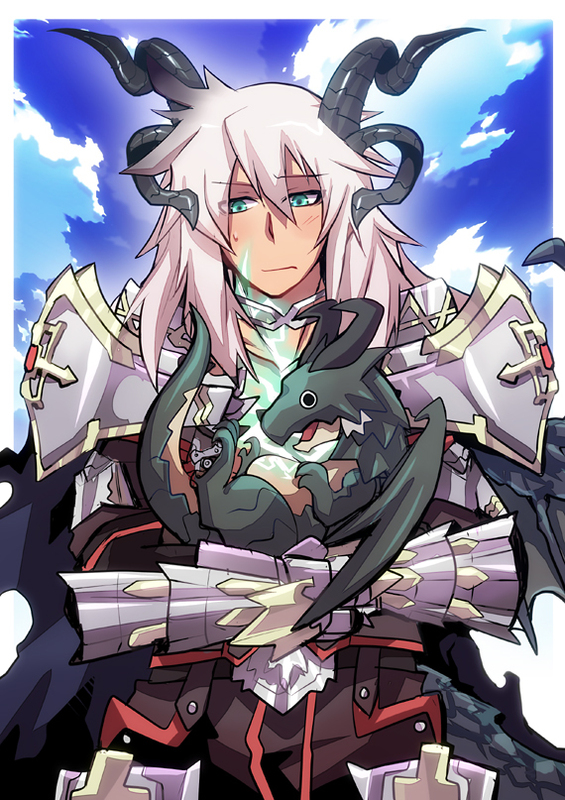 He then bathed in the blood of the dragon, and has obtained an invincible body. His personality is truly that of a noble knight. 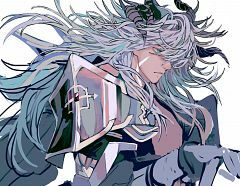 But because he never speaks a word, it is unknown what he really thinks. 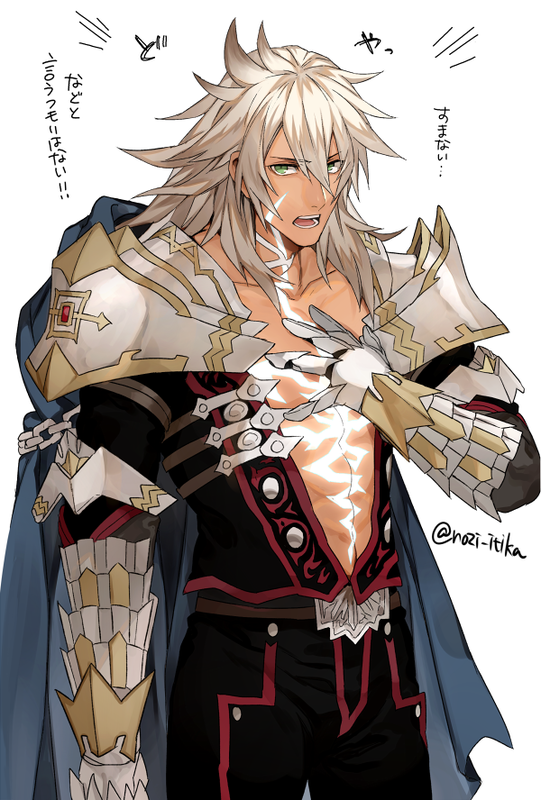 This may, however, have been forced upon him by his Master. 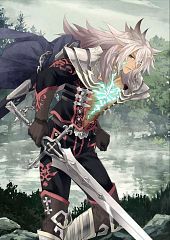 He calls Red Saber "Saber of Rot", German for red.